Hey y’all! 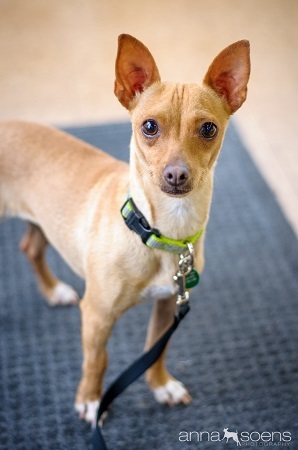 I’m Pecan, a sweet-as-pecan-pie-with-a-generous-side-of-butter-pecan-ice-cream 3 ½ year old Chihuahua mix! I am a pretty, peppy, precocious little thing who just loves to trot around Portland experiencing all it has to offer. I love playing with my Pixie pals or in the park with other pups. I am best suited to a home without small children because I am just a puny pecan afterall! Could you and I be a good fit? Let’s meet! Just fill out an application at pixieproject.org so we can get the ball rolling! I am fixed, microchipped and current on all vaccines. My adoption fee is $250.